U.S. Highway 66 is part of our very national identity, a little bit like baseball or apple pie. 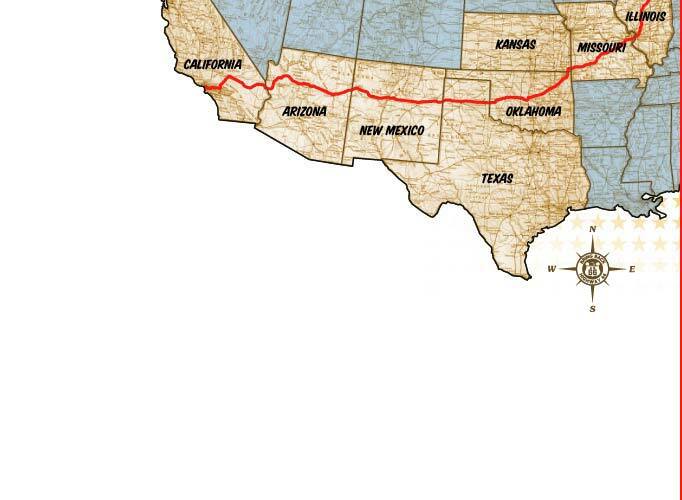 Route 66 is not just any ordinary route number. It has become a national icon and symbol that we associate with our freedom of travel, our hopes for a better life as well as a nostalgic reminder of a bygone era. There are very few Americans who have not at least heard of Route 66. As an important part of our unique American heritage and culture, U. S. Highway 66 deserves to be put back on the Nation's road atlases. Copyright ©2003-2012 Fred M. Cain. Designed by Carolyn Hasenfratz. Hosted by Webs Dot Com. Photography Copyright 1999-2003 by Carolyn Hasenfratz. Highway sign font and graphics by Bruce Cridlebaugh.